Interested in helping to shape change for important spaces in the Uptown, South End and Waterloo Village. What about developing strategies to address or improve important opportunities and challenges facing our urban core neighbourhoods? 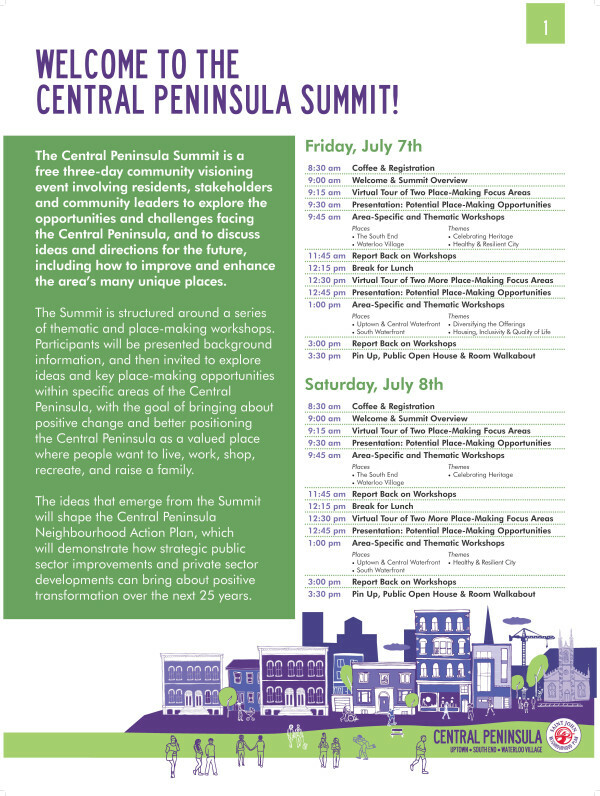 If so, please attend the Central Peninsula Summit workshops this Friday and Saturday. We're looking for your input.